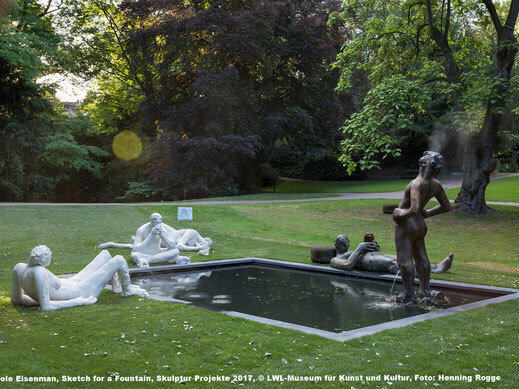 During the "Skulptur Projekte Münster" 2017 the project by Nicole Eisenman Sketch for a Fountain became a favorite among visitors. On the one hand people loved the sculpture, its meaning and atmosphere, on the other hand It was the only artwork in the exhibition which has been seriously damaged several times by vandals. The site-specific installation Sketch for a Fountain is an important and new interpretation of fountains in public space. 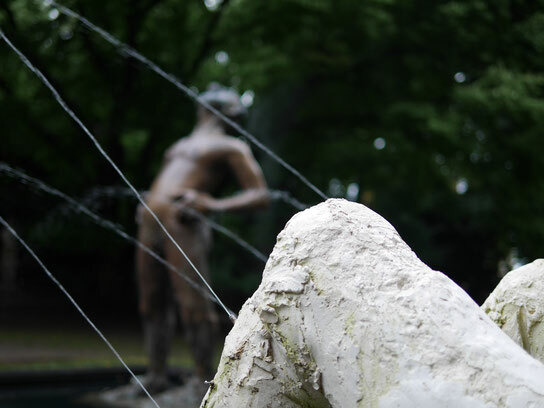 Sandra and Maria were fascinated by the sculpture, the place and the atmosphere it created. 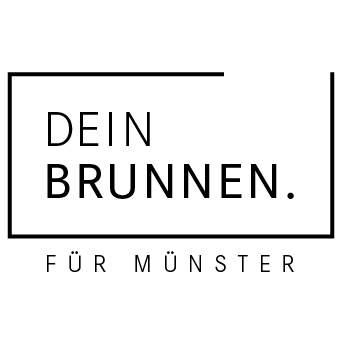 Together with a group of art-lovers they founded the citizens' initiative "Dein Brunnen für Münster". 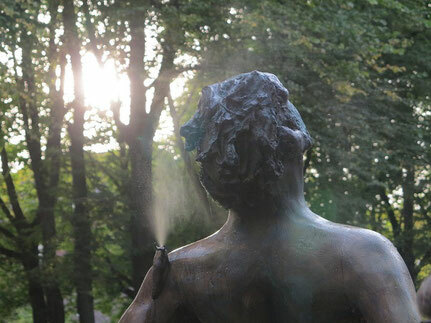 Nicole Eisenman will "re-create" the Sketch for a Fountain for Münster. The two bronze figures will come back as they were. The three plaster figures were not constructed for a permanent exhibition. Currently Nicole is thinking about other weather-resistant materials which also have a transient impression. It will be a unique artwork for Münster. Our aim is to raise the money until the end of the year 2018. If we are successful (and we do very much hope that we are:-)) the sculpture will be rebuild at the "old" place, in the grassy meadows alongside the well-frequented public promenade, nearby the Kreuzschanze. If we fail to raise the money for the project, the collected donations will be used for another artwork in public space. Since we started the citizens' initiative there was a lot of interest. There are many people who would love to have Nicole Eisenman's sculpture back. If you are interested to become our supporter, just contact us via mail or phone. Sketch for a Fountain will cost 1,2 Million Euro. These costs include the artwork, the installation of the fountain with a natural filter system and a drainage system, and money for the caretaking for 10 years. Our wish is that 30.000 citizens of Münster (and other areas of course) give 20 Euro and more. That would mean that a tenth part of the citizens of Münster finances the first half of the costs. The other 600.000 Euros will be financed by different foundations. Each donation is of help to us!